The 24th Edition of Delhi Book Fair, 20th Stationery Fair, 4th Office Automation Fair and 4th Corporate Gift Fair was held from 25th August to 2nd September, 2018. The exhibition was organised by ITPO at Pragati Maidan. However due to the ongoing Re-development Project, this year the expo was conducted in just hall number 7, instead of the three halls—7, 8, and 12A— it was usually held in. “The redevelopment of Pragati Maidan has taken up about three-fourths of the area, but we are still organising this fair to attract youngsters to literature,” said Deepak Kumar, Executive Director, India Trade Promotion Organisation (ITPO). The fair is awaited by scholars, teachers, students and book lovers of various genres. The fair showcased fiction, non-fiction, children’s literature along with various stationary and corporate gift products at reasonable prices. The entry to the fair was free of cost and welcomed a large number of visitors. In a culture of pdfs, online books and kindle, the fair was a delight for the lovers of the traditional medium of knowledge i.e. hardcopies. This year, the fair also provided a unique platform for business-to-business transactions, establishing new contacts, entering into co-publishing arrangements, translation and copyright arrangements, reprinting of old and rare books, apart from providing retailing opportunities. Programmes were held to attract youth and promote reading as both an academic and leisure activity. “We are trying to create better reading habits among the youth and get them involved in the process through the medium of book reading and storytelling sessions, Nukkad natak and other activities. We will also have authors’ corners,” commented Jayanta Das, Sr. General Manager of ITPO. Book discussions, Book releases, College days by Vivekanand College, ARSD and Fairfield Institute of Management Training, seminars and literary discussions were held. Other activities like drawing competitions, Sahitya Manch, Bal Sahiti, Adiwasi Kavi Sammelan, Yuva Sahiti were also organised to engage the crowd of visitors. One of the main highlights this year was Toon Mart. Toon mart is a One Stop Shop for all character based Merchandise. Character Merchandises are hard to get hands on and expensive. Toon Mart at the fair aimed to create a retail platform for character merchandise. Kids were especially attracted to this section of the fair. The motive was also to attract these kids and inculcate a habit of reading in them, through children’s books sold at the fair. With a motive to inculcate educational institutes and bring youth to the expo, special performances by school societies were arranged. Students from Apeejay School, Noida presented a Nukkad Natak on ‘Polythene se Azadi’, 25 student performers relied on their effective body language and powerful voices to leave an indelible impression on the spectators. The audience was moved by the youth’s awareness and concern about such environmental issues. Deepak Kumar, IAS , Executive Director, India Trade Promotion Organisation (ITPO) presented the Awards for Excellence in Display to the participants. Previous articleAnacon India Witnessed A Rise In Visitors! 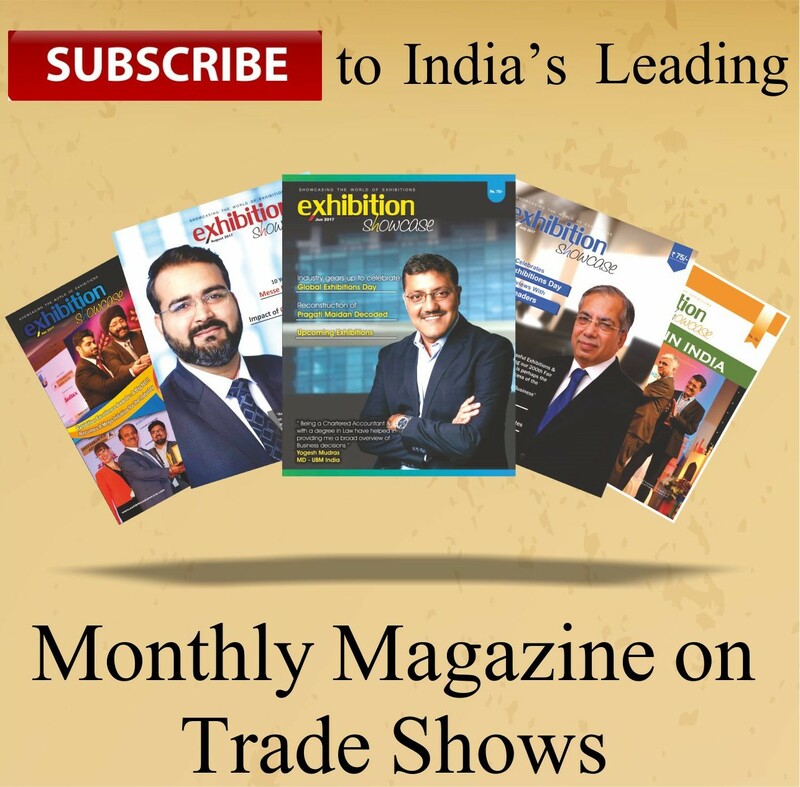 Next articleExhibition Showcase reaches out to Yogesh Mudras, Managing Director, UBM India Pvt. Ltd.